Once a day, while riding in the bus, we all join together in praying the Rosary. Fun and prayer go quite well together! 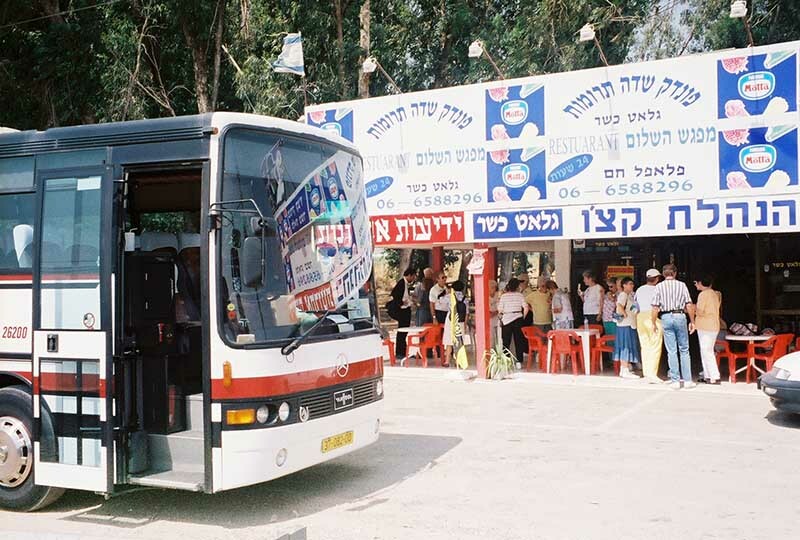 During the one-and-a-half-hour journey back up the Holy Lands from Bethlehem to the land of Galilee where Jesus grew up, we stretch our legs and cool off our thirst with the Israeli version of Good Humor ice cream.